Enhancing education or cutting corners? Shmoop is one of the most popular and successful online study guides, with over 11 million unique monthly visitors. Looking for shortcuts when doing difficult work is human nature. Whether we look for tips on making tasks easier or we attempt to bypass effort altogether, there’s always something that some people like to turn to for help. For English students, support can be found with online study guides, most notably websites like Shmoop, LitCharts, SparkNotes and CliffNotes. Students can log onto these websites and access summaries in the simplest forms for texts or concepts and study annotations containing themes and analysis of challenging subtext. Trinity students face this issue regularly. 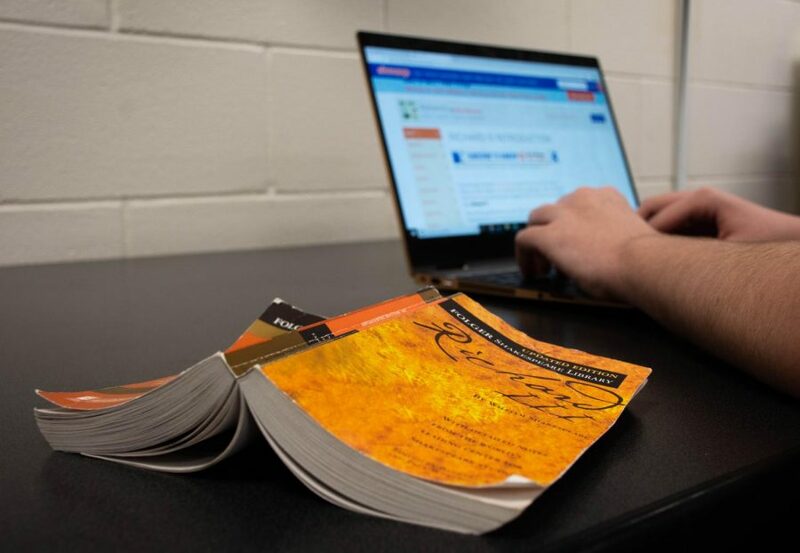 In a survey conducted with middle schoolers and high schoolers, 87 percent of students say that online study guides are acceptable, with 65.3 percent using them for the purpose of reading summaries alongside a text. An alarming 32.3 percent stated that when they have too much work to handle, they rely on online study guides instead of reading the text. Junior Caitlin Hawley finds the use of online study guides, particularly LitCharts, helpful for understanding difficult works of literature. “I’ll be reading and I’ll look at the summary or read the analysis alongside chapters I wouldn’t understand,” Hawley said. important to her study, she wishes that Shmoop and LitCharts were more helpful in identifying quotations. Despite this flaw, Hawley still believes that online study guides enhance her reading experience and better prepare her for tests. 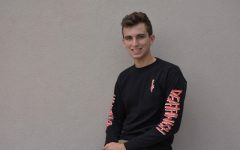 English Department Chair Mr. Steven Krueger, however, is strongly opposed to the use of online resources, naming Shmoop as a crutch instead of a helpful tool. Krueger knows that students often rely too heavily on Shmoop for English classes, and says these websites have the potential to affect the text choices and curriculum of specific classes. He believes it might encourage teachers to choose stories and novels that are harder to find summaries for online, resulting in a classroom shift towards more in-class study. By setting this precedent for the way English is taught, Krueger hopes to make class and reading much more enjoyable for students and discover new ways of thinking and enjoying literature. Not all English teachers are as resistant to online study guides. Honors English 10 teacher Melanie Farmer said that while the dependency of online study guides is not an efficient way of understanding complicated material, they can be useful if the study aid is utilized in a reasonable way. Although it is a problem that is acknowledged, she said that inherently searching for slip-ups in students’ work giving away what they have read is not her solution for preventing students from ignoring assigned reading assignments. Through encouraging casual, open-ended discussions in class and guiding students into thinking independently about a text, Farmer is working to avoid the reliance of online study guides but not rule them out as support. Farmer understands the pressure of other academics as well as extracurriculars and does not deny that online study guides can be helpful to an extent in time constraints. “As long as a student is upfront and makes an effort to catch up on the reading, I don’t have a problem with a student using online study guides in that case,” Farmer said. Understanding the conveniences and consequences of online study guides, some students continue to be hopeful in their academic success. 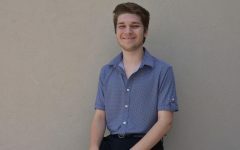 Students like freshman Dalton Joseph recognize the potential difficulty of future texts and are open to the possibility of visiting these websites and learning to navigate them effectively should the work become harder to comprehend. The debate over the long-term use of online study guides being helpful is still being discussed by teachers and students. With a curriculum emphasizing guided classwork and independent home study and a positive attitude about reading and classwork, the abuse of these websites might be less frequent. Maintaining the precedents and considering the opinions of teachers encouraging against long-term use would make English class easier to navigate.